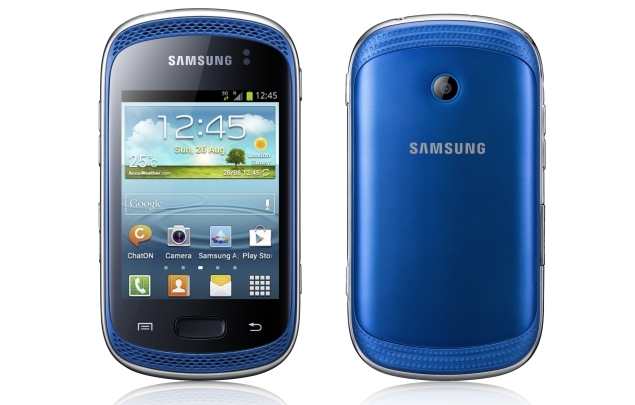 The Samsung Galaxy Note 2 and the Samsung Galaxy SIII are no doubt some of the best Android phones in the market. They offer top-of-the-line specs that would elicit “ooohhs” and “aaahhs” from anyone who’s really into smartphones. But sometimes, a good device doesn’t necessarily need to have all the bells and whistles. Sometimes, you just want a solid phone that will let you call and text, maybe have a couple of features that will keep you entertained in your idle time. If you happen to be looking for such a device, then the newly announced Samsung Galaxy Music may be right up your alley. The Samsung Galaxy Music is clearly not meant to wow users. But what it’s offering is a great looking entry-level device that’s got decent specs for a phone in its class and gives a little something extra for music fans. And sometimes, that’s all that you need, right?